Launched December 19, 2012, Docked to ISS on December 21, 2012. In 2009, it was already known that Soyuz TMA-15 back up crew member Chris Hadfield would be the next Canadian to fly. His mission was originally planned to be Expedition 40/41, but this was traded with an earlier NASA slot. On January 18, 2010, the crew of Romanko, Hadfield and Sergei Revin was mentioned in the NASA Spaceflight Forum as back up crew for Soyuz TMA-04M, which would lead to a 06M prime crew position. 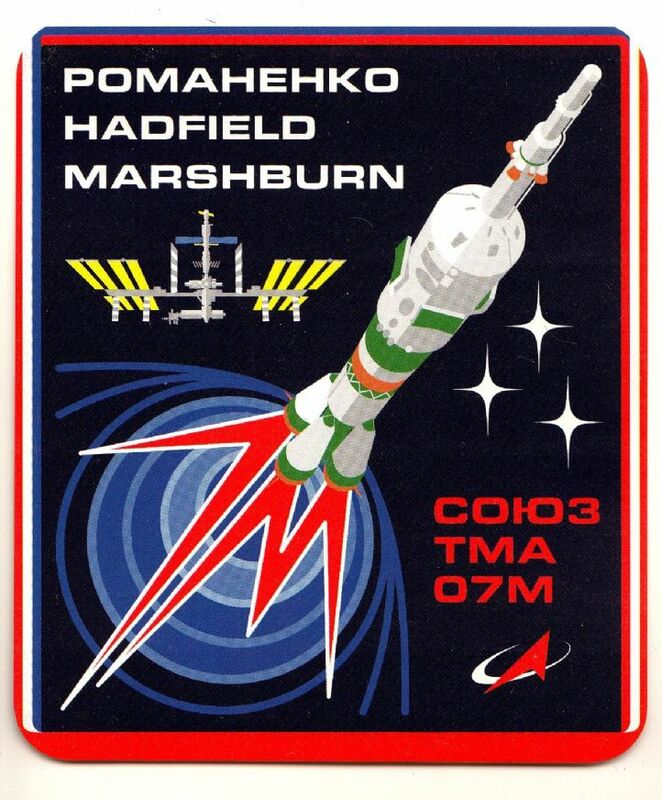 On February 17, the crew was listed in an internal NASA document as the TMA-05M back up/TMA-07M prime crew. In this crew, there was only one Russian position, so Revin (who would ultimately become a TMA-04M prime crew member in April 2011 instead of Valkov) was replaced by Shane Kimbrough. In a June 2, 2010 NASA planning document published on CollectSpace on June 21, 2010, Kimbrough had been replaced by Tom Marshburn. The crew was officially announced by NASA on September 2, 2010.